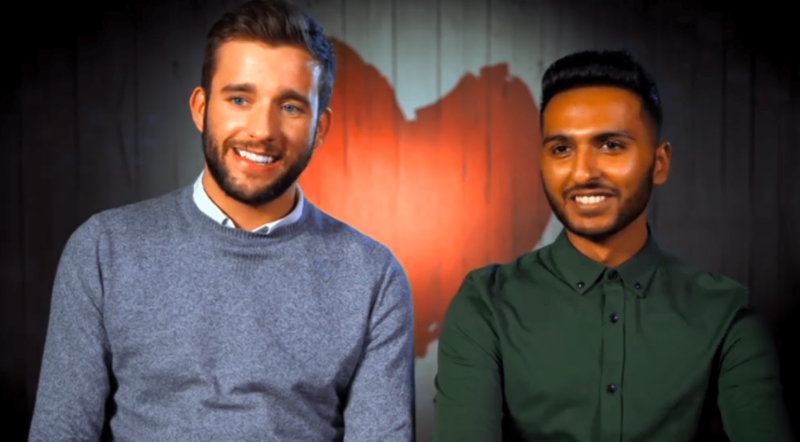 First Dates is back for a brand new series and Fred, ooerlin, Laura and Cici are back in the restaurant this time rather than their French hotel. With a General Election announced on the same day I think we’re all going to need the sentimental joyful feeling of this show over the next seven or so weeks. 24-year-old sales executive Will describes himself as a ‘bloody nice bloke’. Think of that being said in the same voice as Family Guy’s portrayal of a posh British accent and you’ll know exactly what he sounds like. Will has been single for most his life, and he’s hoping that can all be changed from a visit to the First Dates restaurant. His ideal date, he tells bartender Merlin, would be a petite brunette. He’s aiming high and looking for marriage material, someone ideally who can finish a pint of beer. So step forward country loving Fran. The 22-year-old from London has been single all of her life. She went to an all-girls boarding school and so growing up men were a bit like alien form to her. The closest she had to a serious relationship was that time she had four dates with a guy she liked. That was enough for her mum to get excited and buy a hat thinking it would be marriage, but it wasn’t to be. Fran’s philosophy is ‘a man in tweed is all you need’, and by luck posh Will was certainly a fan too. The pair seemed to hit it off, but it didn’t come without the awkward moments. Will and issues flirting and playing compliments, but fortunately Fred was on hand to help with giving him a confidence boost. Will puts this down to the fact his parents weren’t particularly close when he grew up, so he didn’t really know how couples should really act. Fortunately Fran had set the bar low. Her confidence wasn’t very high, she doesn’t rate herself in the looks department, and considers herself a bit of a ‘plain Jane’. So when Will did manage a compliment it went down well. By the end of the night Will and Fran were up for a second date – Fran was digging the ‘bloody nice bloke’ personality, and the tweed. We later learned that the pair had been come official, so there might just be an opportunity for Fran’s mum to buy a wedding hat in the future. 47-year-old ‘cool mum’ Emma from London was in for a bit of a shock when she entered the First Dates restaurant. She was looking for someone with short grey hair, someone tall, and someone manly who isn’t a wimp. She got matched with a man of her dreams – if that dream could be considered a recurring nightmare. Peter, a 48-year-old from Essex, had actually dated Emma before and it had all gone horribly wrong. The exes seemed to be going in the right direction when they originally dated, until Peter started to struggle with commitment and called it off via text. Things hit such a low point that he’d even blocked her from Instagram. Peter is introduced by friends to potential girlfriends as a ‘messed-up, divorced, drunk, granddad’ but he claims that isn’t completely true, he considers himself a ‘grandlad’ rather than a ‘granddad’. As the pair re-told the tales of how the pair had met, dated, and ended things it soon dawned on Emma some of Peter’s flaws. She certainly wasn’t impressed that he doesn’t still wear pants, something that apparently was an issue when they first got together. Emma was still furious about the situation and how it all ended by text, as she had let guard down after being hurt previously, only for Peter to hurt him again. Peter meanwhile spent the evening grovelling and hoping for a second date to put it all right. He believed it hadn’t been the right time or right place when they first met, and that the two years difference had made all of the difference. Below Emma’s mean exterior it was clear she wasn’t entirely convinced her judgement was the right one, but by the end of the programme she had decided she wasn’t prepared to let her guard down for Peter again. After the show she managed to find a new man, and this one apparently does wear pants, much to the relief of many viewers of the show. 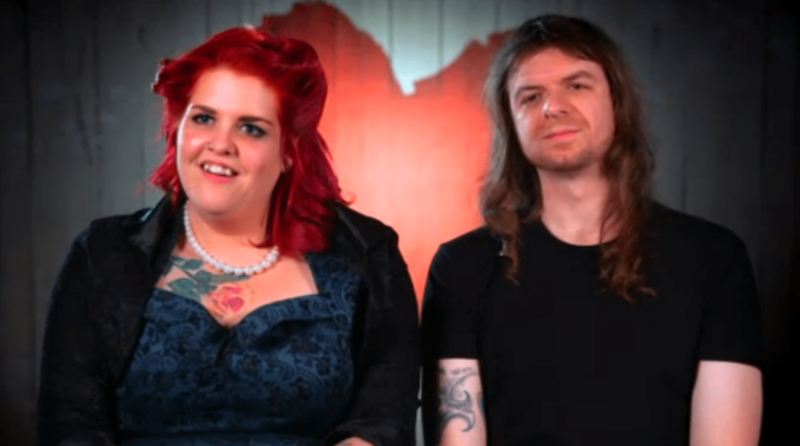 6’1 rock chick and ‘adult emo’ Kat was next in the First Dates restaurant. The 28-year-old from Brighton has been single for three years, although she suspects it could be even longer than that. The trouble for Kat is she’s good friends with a lot of men, but it never seems to go further than that. She was in the restaurant hoping to find someone who stood out a bit. Someone who certainly stands out in a crowd is 6’3 metal head Dan from Epping. He’s earned the nickname Squid, which didn’t bother Kat, continuing the fish theme one of her friends is called Cod. To start with the pair made me want to shout ‘grow up’ at my television screen as they ordered jagerbombs at the bar but at over 6 foot neither really needed to do this. In fact the pair started to become more endearing as the night went on. As Kat explained she had a lot of confidence issues growing up, and being a larger and taller figure meant a lot of men didn’t want to show her off or shout about her when they were dating her. She explained that they all wanted to keep her a secret. The pair really seemed to hit it off as they discussed emo bands and gigs, and by the end of the evening they were outside the restaurant in the seating area sharing a cuddle under the cover and even a smooch. The pair weren’t the most committal by the end of the evening but did agree to meet up again to see if the spark was still there. It transpires it was probably more to do with the jagerbombs, as they’re not going to be dating again, but they have agreed to go to a gig together. Finally we had 22-year-old Science student Sameer walk through the restaurant doors looking for love. Sameer says one of his problems is that not everyone sees him as a gay person, which is probably not helped by the fact he spends a lot of his time at university studying vaginas on his course. He was matched up 23-year-old Ciaran from London who is described as someone with a 13-year-old’s mentality. This apparently applies to both his sense of humour and experience in flirting. Fortunately this didn’t hinder the pair – Ciaran seemed to get Sameer’s sense of humour and vice-versa. As the evening went on the pair appeared to be open and honest with each other. Sameer explained how coming out to his parents was particularly difficult coming from a Muslim background. He said he actually found it easier in his 20s to come out to his father than his mother, and that she was upset her son couldn’t have been more open about it sooner. As the pair had been so honest, had a good laugh, and seemed attracted to each other it seemed a no brainer that they would agree to meet up again. Whether it happened or not we were left in the loop. We’re hoping they did – they seemed a great couple. We welcome any information about what happened next!